This is a deeply opaque wine and surprisingly complex wine. The nose opened with blackcurrant and cedar, with a background aroma of vanilla cream, but very light, not overpowering wood-based vanilla. The palate shows blackcurrants and blackberries. Peppermint and eucaplyptus appear on the mid-palate. 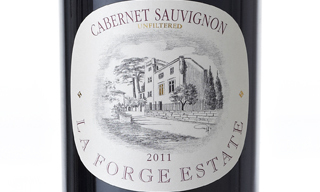 Mouth feel is silkly, with firm tannins and bright acidity. It would be a great match with beef or lamb. It could also be enjoyed without food as a pleasant sit-and-sipper.